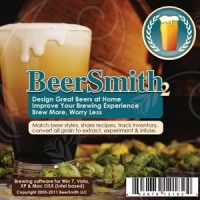 I have been using the BeerSmith software now for 3 years and love it. The new Version 2.1 has made things much easier to use. The new cloud features are a life saver. It allows you to share recipes but more important it backs up your recipes in the the cloud so should you loose your computer or the drive dies you do not loose all your tried and tested recipes. Prior to the cloud feature I had a hard drive failure and my backup was not good so I lost 2 years worth of recipe and development. For more information on Beersmith2 click here.